Top page > List of companies > Amazia,Inc. Amazia is the only company which provides professional start up service regarding comics App in Japan. We offer application service with high originality by our high quality of creativity and development power. 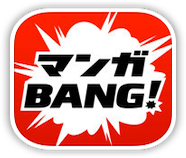 Our main service “Manga BANG” already achieved more than 500,0000 DL, it is growing as the biggest comics application service in Japanese market. We already completed a 3 billion capital fund adjustment, and the sales has been growing steadily as well. From now on, we will expand our business with more original services in a even faster past. Apple,Inc<br>Google,Inc<br>MEDIA DO HOLDINGS Co., Ltd<br>United<br>Adways Inc.